It’s hard to believe that it is already that time of the year… Yes, Thanksgiving is around the corner! You can never prepare early enough thus we are thrilled to unveil today this year’s holiday menu, elaborated to match perfectly with the estate’s wines. 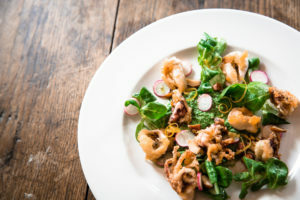 Start you festive meal with a Pan-fried squid, watercress purée and smoked almonds along with Opalie de Château Coutet 2015. The delicate, slightly-sweet squid is enhanced by the wine’s crisp minerality, citrus notes and its touch of salinity. Of course, there HAS to be a turkey. 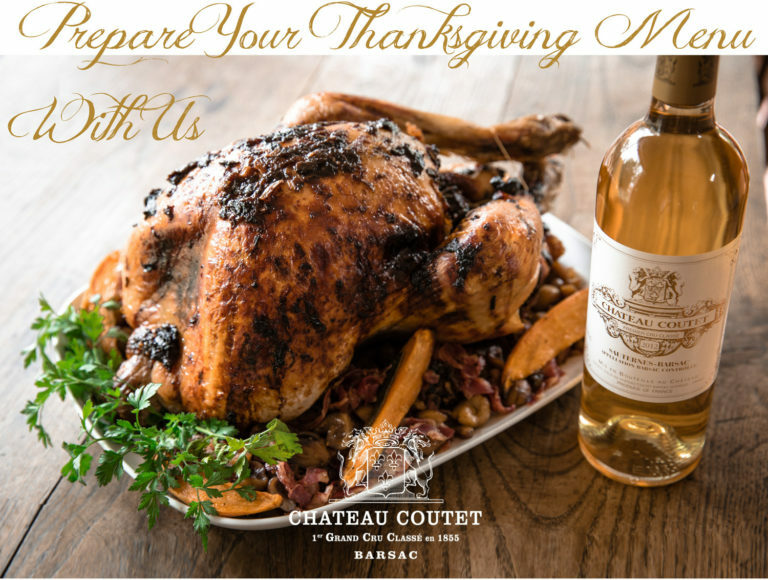 A Château Coutet 2012 will be a perfect match with a Tamarind-glazed turkey, Sauternes chestnuts and sweet potato chips. 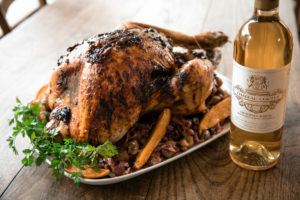 Intense, aromatic and youthful, this vintage offsets the richness and gentle spiciness of the turkey with its elegant freshness and purity. 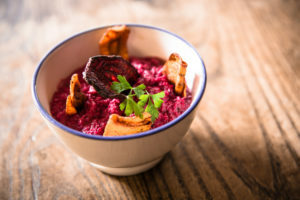 As a side dish, we suggest Creamed parsnip and beetroot with roasted lemon and oregano with a Château Coutet 2005. Revealing the natural earthiness of the root vegetables, the wine offers subtle confit citrus notes and delicate smoky undertones. 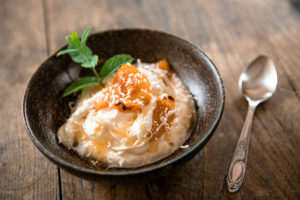 Finish your Thanksgiving menu with a white chocolate and roasted apricot fool. Inspired by a traditional English dessert, this deliciously decadent treat will be a perfect match to the Cuvée Madame de Château Coutet 1995 to provide a sensorial journey into the finest and vivid expression of this First Growth, with creamy richness and sublime intensity. Each sensation is echoed in the opulent dessert. We look forward to hearing of your sweet and savory pairings.